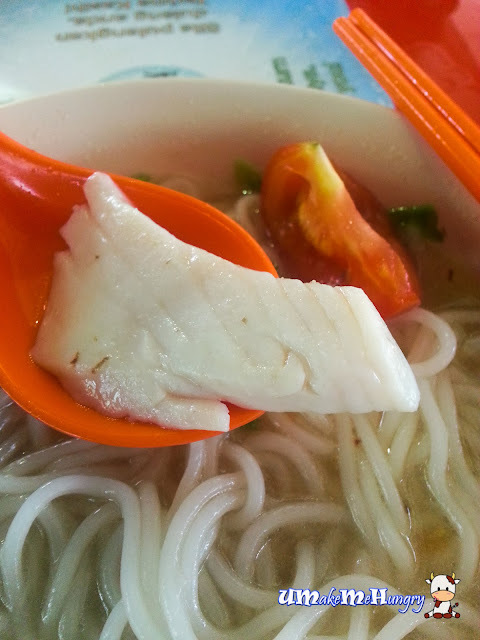 Slice Fish Fish Head Seafood Soup? A stall with no name to be found even after having a hard time searching for it at every corner of the stall. My visit to West Coast Market Square was very frequent, at least 10 times a month and this stall is one of the many stalls that draws the crowd especially during meal times. Everytime, without fail, I get to see a neat queue form in front of the stall. Health conscious patrons, this is for you if you are not sure what to eat in West Coast! 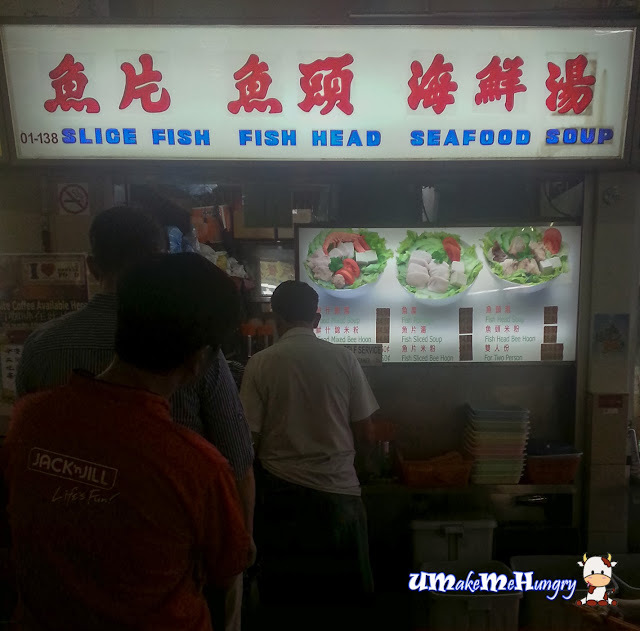 A basic bowl of slice fish soup costs $4.50 and one can request for meat ball add-on at $1.00. However, if you feel that a total of $5.50 is too expensive for a meal, you can request for a mix at $4.50. Soup base was abit chalky unlike the the normal clear fish soup we had. Not only that, it had a very unique taste as compared to its competitor in the vinicity and not that kind of taste that we would have expected. Bee Hoon was smooth and silky, therefore good chopsticks grabbing skills is required. Beside slices of fish, a small wedge of tomato is added with chinese parsley (yan sui) as well as fried onions. Adding of their homemade meatballs is definitely recommended. The meatballs was made up of minced meat with hints of salted fish. Bouncy and delicious, goes very well with the soup. The slices of fish given was fresh and thick with a smooth textural feel. 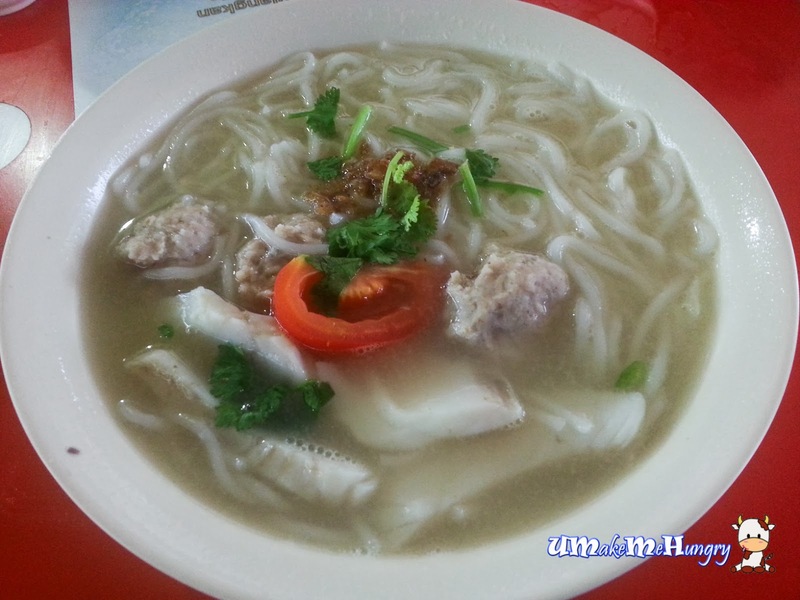 Perhaps the downside may be its steep pricing when we could get a bowl of fish bee hoon at $3 but considering the portion and freshness, the amount paid was well worth it.